A quick weekend lunch dish, with tomatoes and goat cheese. 8 ounces of soft goat cheese, crumbled. Drain the artichokes, reserving 3 tablespoons of the oil. 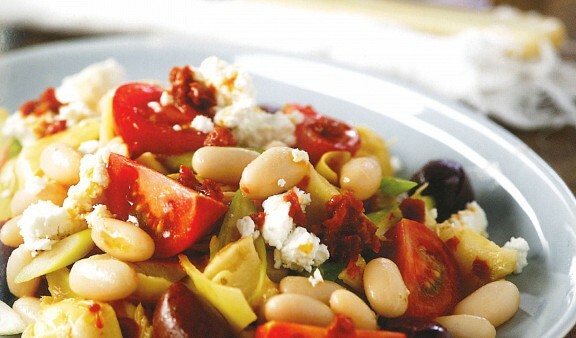 Pour oil into a bowl and stir in the sun-dried tomato paste and vinegar until smooth, seasoning with salt and pepper. 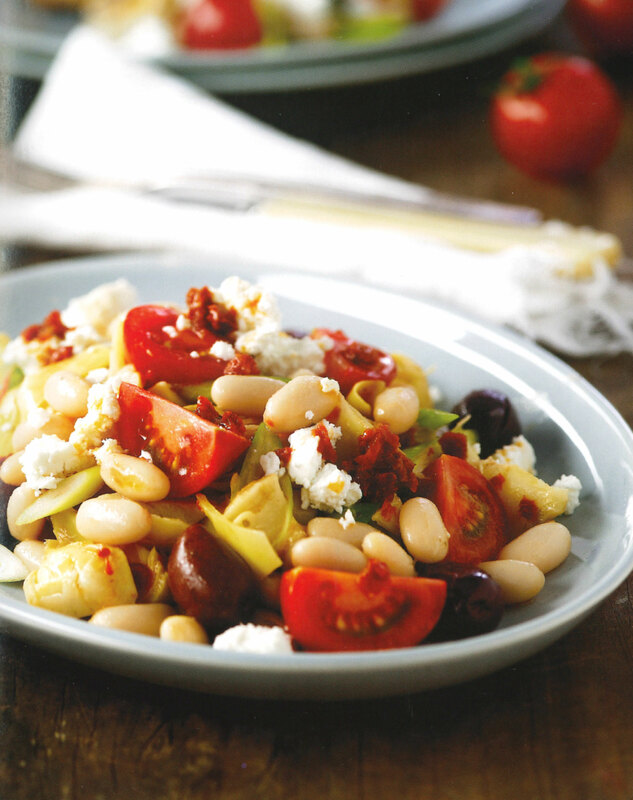 Coarsely chop the artichokes and transfer to a large bowl with the cannellini beans, tomatoes, olives, scallions, and half of the goat cheese. Stir in the dressing from the last step. Season with salt and pepper to taste. Crumble the remaining goat cheese over the top and serve!